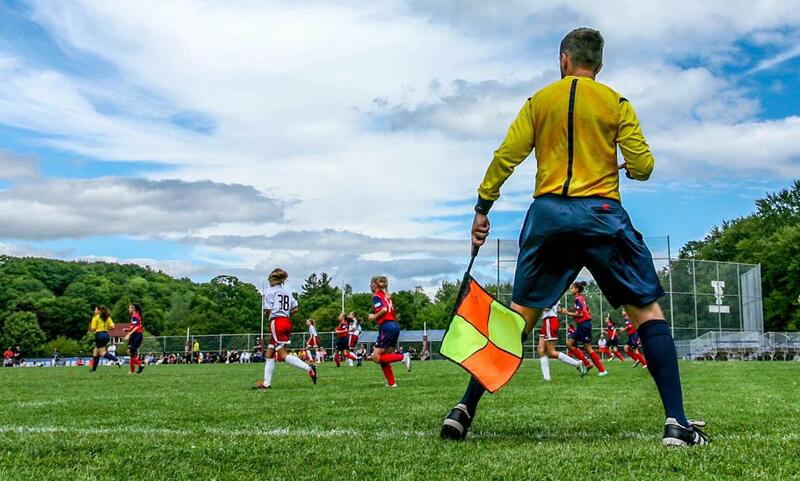 Whether you are just getting into refereeing or have already been blowing the whistle for several years, Ontario Soccer has a variety of initiatives that will assist you in your career as a match official. From education sessions to fitness programs, the pages on this site will provide you with all the information you will need. In addition to refereeing, Ontario Soccer also provides support for assessors, instructors, mentors and coaches. Visit regularly to stay up to date with the latest news from the world of refereeing. As an integral component of the Long Term Officials Development strategic initiative, the Match Officials Development program has introduced a Talent Identification Reporting Process. If you see an official on the field that you feel has talent, we ask you to fill out the Talent Identification Survey by clicking 'Start Survey'. Ontario Soccer staff cannot cover all fields every time there is a game and we feel that those with their fingers on the pulse of their community would be the best to identify potential talent. Once a name is provided via the survey, Ontario Soccer will forward the information to assignors and the District Referee Coordinator for follow up on the identified match official. Club Technical Directors and/or technical leads are also encouraged to submit names. We also ask you to share this with your club coaches. Have you lost your Canada Soccer or Ontario Soccer Small Sided Badge? Do you want to get extra badges for your uniforms? We're able to help! Requests for Canada Soccer badges can go directly to Michael Tucker, Canada Soccer's Referee Program Administrator. Click the button below to help you get you started. Requests for Ontario Soccer Small Sided badges can go directly to Jamall Brown. Click the button below to help you get started. The Match Official Development Committee advises the Match Official Department on all matters relating to refereeing in Ontario. The RD consists of 5-7 members, including a District Referee Coordinator (DRC), Club Head Referee (CHR) and members at large.